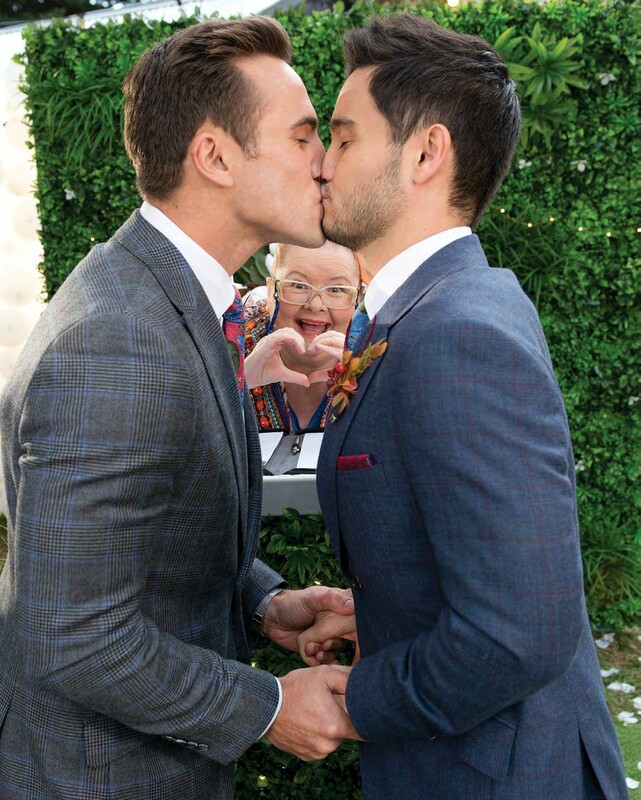 Television’s hottest gay couple, Aaron and David, are about to get hitched. For the behind-the-scenes scoop, DNA visited the set of Neighbours to speak with actors Matt Wilson and Takaya Honda. For many Australians, long-running television drama Neighbours is as quintessential as Coronation Street is to the Brits or Days Of Our Lives to North Americans. The show has survived decades of social change and, while it enjoys healthy competition from rival Home And Away, Neighbours is as much an Aussie icon as Vegemite, Qantas and the speedo. Soon to clock up its 8,000th episode, this is the neighbourhood that once housed the three Hemsworth brothers, Russell Crowe, Margot Robbie, Guy Pearce, Jesse Spencer, Natalie Imbruglia, Delta Goodrem and, of course, Kylie Minogue. Contributing to the longevity of the show has been the producers’ and writers’ efforts to move Erinsborough and its residents along with the times. In the past few years it has broken new ground with the introduction of LGBTIQ characters and storylines.